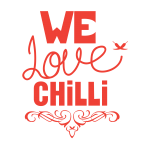 The Chilli Crew are dedicated chilli heads who love all things chilli, from growing and harvesting, to cooking culinary delights to share with family and friends. We began making hot sauces in 2016 because we wanted to make our own delicious, hand crafted sauces made with the best fresh Australian ingredients. Our journey into the world and culture of hot sauce has been an adventure and has led us to explore traditional sauce making techniques from around the world. The outcome is our range of genuine and complex hot sauces that are highly addictive and deliciously good.